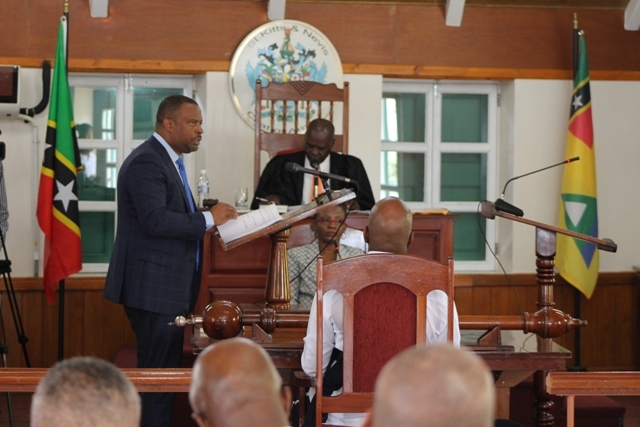 NIA CHARLESTOWN NEVIS (November 12, 2018) — Two bills before the Nevis Island Assembly are expected to continue their journey when the assembly sits in Chambers at Hamilton House on Thursday, November 15, 2018. Hon. Mark Brantley, Premier of Nevis and Minister of Finance, will move the second and third readings of the Nevis Investment Promotion Agency (Amendment) Bill, 2018 while Hon. Spencer Brand, Minister of Physical Planning and Development Control, will move the second and third reading of the Nevis Physical Planning and Development Control (Amendment) Bill, 2018. Both bills were introduced at a sitting of the assembly on October 04, 2018. The Nevis Investment Promotion Agency (Amendment) Bill, will replace the Nevis Investment Promotion Agency Ordinance, Chapter 6.12 (N) and the Nevis Physical Planning and Development Control (Amendment) Bill, 2018, will replace the Nevis Physical Planning and Development Control Ordinance, Chapter 6.09 (N).